After fighting hard to win their last conference match against East Henderson, Coach Allen Combs called the Lady Falcon tennis team together. Looking around at the group of players, Coach Combs broke into a grin. As a team, the Lady Falcons went undefeated in conference play. They finished the regular season 16-4. Smith finished the regular season undefeated and qualified for the 3A individual state tournament. She finished third at the state meet, losing to Sarah Jiang from Cox Mill, 6-0, 6-1. 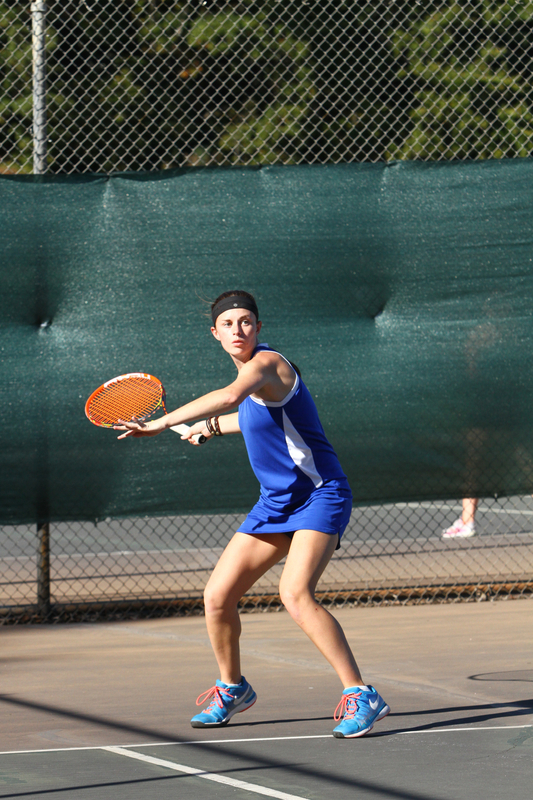 The doubles team of junior Mary Elaine Bridges and senior Kendall Gilliam also qualified for the 3A state tournament. The pair finished the regular season 9-3. Sophomore Brandi Byers attributed the team’s success to their positive approach. The two seniors on the team, Smith and Gilliam, often served as mentors to their underclassman teammates. Team members said they felt good about how their season turned out.